From huntseat to hunt field. Enjoying the ride on an opinionated Thoroughbred who loves to foxhunt as much as I do. If you subscribe to the blog via an RSS feeder you may not have seen yesterday’s blog redesign! I’m still working out the kinks but I think it looks a lot more like a real website now and less template-y. I’ve also launched a new service: Equestrian Pen Pal matchmaking. 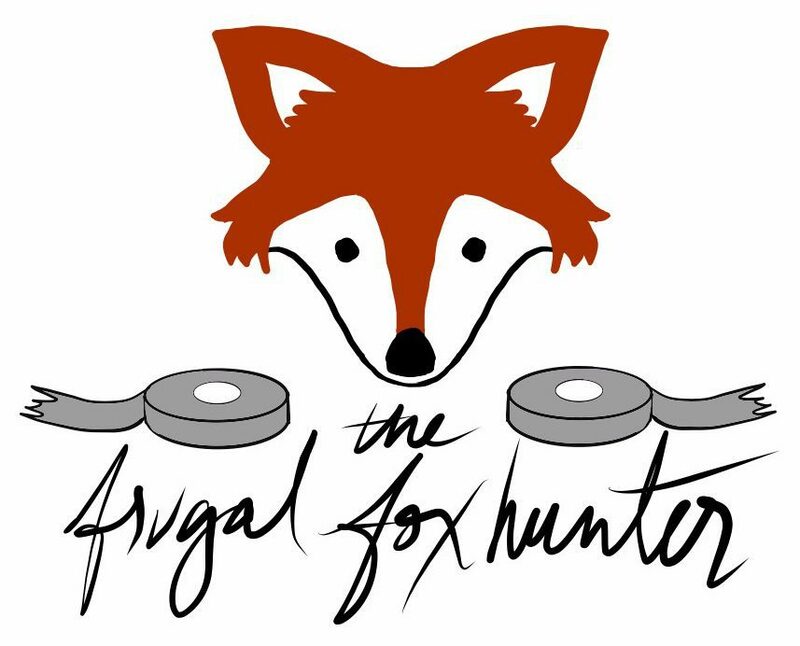 A new foxhunter contacted me a few months ago and we have been pen palling it up ever since. I’m really enjoying the longform letters, and I know there are other riders and bloggers out there who would probably enjoy it too. So if you fill out the “Want an Equestrian Pen Pal?” form, I’ll match you with someone I think you’d get along with (once enough people sign up). I hope it takes off and we start connecting with riders and foxhunters all around the world. Spread the word! It’s free! On Saturday we hunted a fixture that goes by many names. It’s known to Area II eventers as Bittersweet Field, home of the Seneca Valley Pony Club Horse Trials, but to foxhunters it is the property where we host the spring hunt races–so to us, it’s the Racecourse. It’s also the property of the Kiplinger family, longtime Potomac Hunt people (yep, of Kiplinger’s magazine!). Their estate is called Montevideo, and the house overlooks the entire property: XC field, planted fields, stables and a lovely tree-lined drive. Whatever you call it, Saturday was really just the quintessential autumn hunting day. We moved off after the Masters gave their announcements, and the huntsman put the hounds in a field of crops where they bounded around. We would have seen them leaping and porpoising if the plants were a little shorter but instead we just saw the stalks rustle. The horses were rustling too. Most wanted to move out! The hounds obliged and ran the first fox to ground in about 15 minutes. The Leftist was feeling it! Some recent dressage lessons came in handy to try and canter in a somewhat organized way rather than just running flat. Apparently he was snorting like a steam train because his owner (my hunting buddy) asked if he was behaving for me. He was, just not happy about it! We had maybe one other good run that day, and one hanging log jump. The racecourse doesn’t really have jumps on the trails we hunt. But even with the more relaxed pace and not much scent as the day got warmer, there was certainly lots of wonderful foliage and enjoying time with great friends and great horses. I wondered aloud if we would find our way to the other side of the property. I had only been there once, for the last hunt of the season. I remembered a fabulous roller-coaster-like trail, with a sheer drop on one side and a creek below. I had completely forgotten. The way we got to that amazing trail was by fording a deep creek and scrambling up a steep, muddy hill, only for most riders to get their head stuck in a tree at the very top. Lefty earned his keep that day, since he scrambled up and then stood still while I untangled myself from the branches. It really was a nasty, scary crossing but somehow I had completely forgotten it, only remembering the reward on the other side. Funny how that happens out hunting! We did start edging towards that creek, but I think the scent was dying. The second half of the hunt amounted to a pleasant trail ride which was probably for the best on a warm day! I got to catch up with a hunting friend my age, and we were so engrossed in conversation that we completely missed the fact that the field had left us. Only the staff and hounds were left, with us two hanging in the background! We trotted on to catch up and to enjoy a great tailgate. You know sometimes I wonder if these hunt reports have enough drama. Most days my takeaway is “I can’t believe how lucky I am.” There’s no rising action, conflict, resolution. It’s all just rising action, no conflict, and then food and booze. Not a bad way to spend a Saturday. Next hunt is Opening Meet! I’m already anxious about clipping and braiding! But it will all get done. And before then, it’s Barn Night at Washington International. Not sure how I’m going to fit all of this in, plus riding, plus pesky work but it will happen. Pony races at WIHS 2014–last time I was able to go! So a week before the schooling dressage show, Lefty’s cellulitis episode seemed to have resolved. I never scratched my entry, so we had about 5 days and one lesson to prepare for our Training level 1 debut. Great idea! By the time the Sunday show rolled around, we could at least stay in control for the duration of the test. It was not necessarily pretty, round, and fluid for the entire test–but at least we did all the movements in the correct places. My goal for the show was for Lefty not to kill me or any of the Pony Club children I was competing against, so anything better than that was just a bonus. We hacked over to the show, hosted at a nearby friend’s barn. Ponies, ponies everywhere! Lefty was mostly behaved and the hack over was good to settle his two brain cells. I felt quite fancy being all cleaned up for our debut! Unfortunately the show was running late and as we stood around waiting Lefty was getting a little dancy and impatient. My coach shooed me into the warmup arena to put Lefty’s little brain to work. There were some ugly faces. Ear pinning. Head tossing. But I just kept repeating my mantra, “Just keep riding, just keep riding,” and kicked him into my outside hand every other step, and it all seemed to work out. He did make me ride every step though, especially near the short end of the dressage arena bordering the warmup area. We might have had to jump that, you know. It was our turn to warm up in the arena–since it was a schooling show, and every single horse seemed to be spooking at the judge’s table, they allowed a few minutes for each rider to school in the ring. I was so focused on my leg yields toward the judges’ stand that I didn’t hear a word of the commentary in this video. Oddly enough I think I rode the warmup better than the test! Thoroughbreds. I do think we did better than our snail’s pace Intro A dressage show last year, and honestly I was thrilled that we did all the movements in approximately the right places, without blasting down the long side of the arena. While I was waiting for the class to be pinned, I was chatting with one of the teenage riders who seemed frustrated with her performance. Apparently her horse was not forward enough. So we didn’t run anyone over…but we might have scared the children. Unfortunately, a day after the show Lefty’s cellulitis came back in a different leg and he got another round of meds and about a week off while the swelling went down. Thankfully this time it resolved faster, and now he is on some supplements the vet recommended. We’re thinking he just wasn’t getting certain nutrients he needed. We’re just back to riding now! Hunt report TK. Do You Have to Be Brave to Foxhunt? This text,in reference to my incident with a loose horse and some impromptu outriding, sparked a thought-provoking conversation with a friend of mine. She said, “You’re a brave, brave woman!” and it made me wonder–am I? Or am I just stupid? But more often than not, it doesn’t. This particular incident that the text message refers to really could have gone either way. I was out trail riding and schooling some new jumps with a friend of mine on her young paint mare…when she went one way and her horse went another. She fell off, then promptly got up and yelled, “GO!” as her mare trotted off on the trail back home. This mare has some history of getting lost, so Lefty and I were on a mission. I could NOT let that horse out of my sight since she was heading right toward the road on the way home to the barn. We were flat-out galloping. I had NO brakes–Lefty was locked on to that mare! I worried about the hard footing, the fact that the little mare was cutting STRAIGHT across a planted field–but I realized this was no time to stand on protocol and manners. My ex-racehorse kicked into 6th gear, opening his stride for a rescue mission. I saw a car on the road–then the mare crossed safely. Phew. I tensed every muscle in my body to slow down my Thoroughbred freight train, and trotted down the driveway following her. She went straight behind the barn owner’s house to graze, where she was soon caught and returned to her owner, who was meandering her way back to the farm on foot. Somehow these “wow, that could have been bad!” moments tend to all turn out fine. It’s terrifying for a split second, when I realize, I have to deal with this or I’m going to die, probably–and somehow, those riding skills step up to the plate when things go wrong. This is why I spend hours and hours and miles and miles in the saddle (and, of course, because it’s fun). I don’t mean to say that accidents never happen–but I really don’t think they happen much more than they do riding in the arena. (And I say that as a former hunter/jumper girl who was terrified of trail riding!) Things just happen so fast out in the hunt field, and resolve themselves for better or for worse, that you learn very quickly what you and your horse are truly capable of. Often, it’s more than you thought, because who in their right mind would gallop downhill, or make their horse leap up a muddy bank…unless everyone else was doing it and having no problem? There have been a few occasions out hunting where I had no brakes on my little Thoroughbred. But I don’t worry about it anymore. I know he’ll come back to me. So on this little rescue mission, I barely gave it a thought. My entire focus was on keeping that mare in my line of sight. So is it learned bravery? Or learned stupidity? That is a question I can’t answer. Having too much fun.